Tibetan in exile who runs a production company, White Crane Films, along with his wife and partner. “Bringing independent cinema to the mountains.” Thus reads the tagline of the Dharamshala International Film Festival, which was held in the hometown-in-exile of the Dalai Lama, the spiritual leader of the Tibetan people, in the Himalayas in the north Indian state of Himachal Pradesh from Nov. 3 to 6. 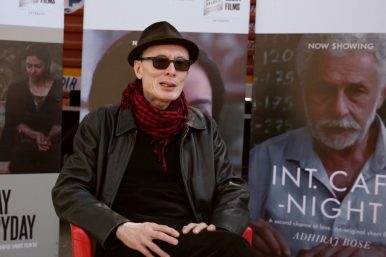 The festival featured 43 films and 20 filmmakers, including nine international filmmakers who presented their films in the town of Dharamshala, which is also the seat of the Tibetan government-in-exile. Why should an international film festival be held in the Dalai Lama’s town? Why is it significant for exiled Tibetans? The Diplomat spoke to filmmaker Tenzing Sonam, a Tibetan in exile who runs a production company, White Crane Films, along with his wife and partner, Ritu Sarin, to ask these questions, and more.